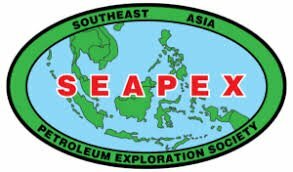 This year sees the coming together of the South East Asian Petroleum Exploration Society (SEAPEX) and the Petroleum Exploration Society of Great Britain (PESGB) to host a conference in the Kensington Olympia Convention Centre in London, England on the 27th and 28th of June 2018. The focus of the conference is “Asia-Pacific Revisited: New Ideas, New Opportunities” and this will be themed as a technical discussion around the potential new regional perspectives and will also highlight recent exploration successes and future opportunities on a country or play basis. At the convention we will be on the IHS Markit Stand C17 and are available to demonstrate how our seismic inversion and depth conversion modules (available on the Petrel and Kingdom geoscience platforms) can help you determine the absolute and relative impedance values of your data and create robust velocity models, that incorporate structural complexity, and how we can assess the uncertainty of your model(s) too. InSeis/Kingdom Seismic Inversion 2018 generates high resolution Absolute, Relative and Synthetic impedance volumes that are easy and quick to produce. These are perfect for prospect evaluation as the 5 days required to create the high resolution post-stack volume could save you the expense of having to undertake the months of work required to complete a full pre-stack inversion project. Velit/VelPAK 2018 empowers you to create a highly detailed Best Technical Case (BTC) velocity model iteratively, that is conformable to simple or complex geology in your area of interest. To assess the uncertainty of that model, the software enables you to generate a series of stochastic Monte Carlo simulations from varying the parameters in your model with known constraints. This data will place your BTC against the P50 value of the simulations to give a high degree of confidence in your starting model. You can then assess the shape, size and scale of your reservoir through the probability of closure maps that will also give confidence in your P10/P50/P90 ranges, which will help mitigate against misplaced wells and give robust values for the reserves estimation ranges. The SEAPEX Convention is scheduled for the 27th and 28th of June 2018 - and we will be attending. Learn more.